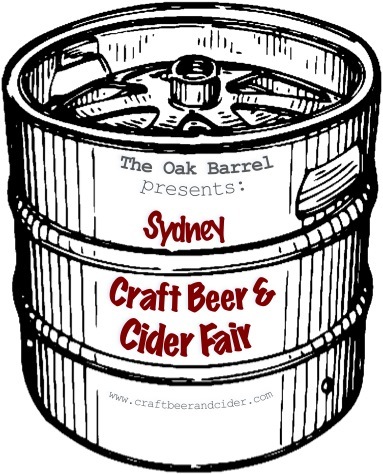 The Oak Barrel (in the heart of Sydney’s CBD) will be hosting the second annual Sydney Craft Beer and Cider Fair on the 15th June, 2013. This is an indoor event showcasing Australian and international craft beer and cider. Last year’s fair was a great success and tickets sold out. The fair will host over 25 stallholders each showcasing a variety of labels – with over 100 craft beers and ciders available to sample – offering customers the chance to taste and connect with the various brewers, brand ambassadors and other passionate aficionados. There will be an emphasis on local craft producers. While we still have a way to go to catch up to our Kiwi cousins and the Yanks, there has been an revolution in local craft production over the previous couple of years and we aim to highlight the great stuff being done in our own backyard. The Oak Barrel is one of Australia’s oldest independent bottle shops. Since being founded in 1956, the Oak Barrel has prided itself on exceeding customer expectations through providing the largest selection of boutique and hard to find wine, craft beer and spirits, particularly malt whisky. We also offer sensory education, and pride ourselves on customer service. Over the past three years, The Oak Barrel has held successful Whisky Fairs and Boutique Wine Fairs and this year will be no different. Our next focus is on craft beer & cider and this year’s event will set the benchmark for Sydney.